Our 3rd annual dance and soak retreat at beautiful Lava Hot Springs, Idaho April, 2018. 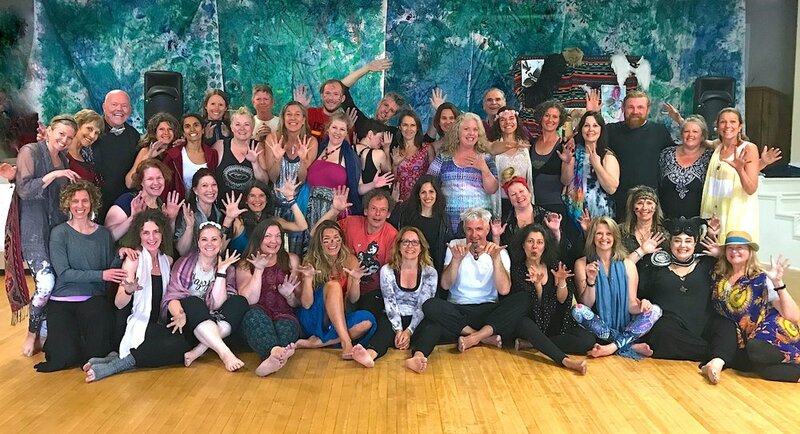 So many gathered from all over the world... 7 5Rhythms teachers in training from Australia, Luxembourg, Switzerland, Canada.... and many participants from the US: New York, Indiana, Wyoming, Montana, California and our local tribes here in Idaho and Utah. A true melting pot of beautiful dancing souls. What a deep dive!!! Art installation created by Jennifer Hope and her daughter, Raven, to inspire our exploration of the Heart Warrior/Warrioress archetype. Detail of Shaman Healer archetype installation. Who do you see in the fractured mirror?